Family reunions can be a ton of fun, especially when you have a large family whose members may not see each other that often. When relatives near and far get together, you can bet that the experience will be memorable. Planning a family reunion can be a lot of work, however, and requires a time commitment from all parties involved in organizing the event. The result can be well worth the effort, especially for the memories that you will have had a hand in creating. 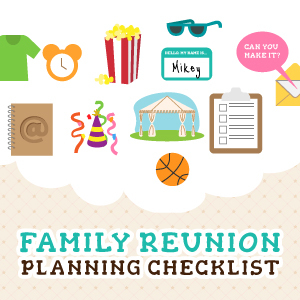 Check out our Family Reunion Planning Checklist for tips on how to break down the planning of the event into manageable chunks of time. To be sure, planning can alleviate the stress and make it an enjoyable process. 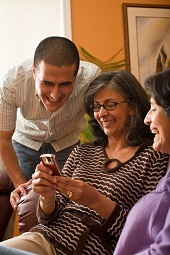 The heart of Mother’s Day is family togetherness. This makes it all-important to find an activity that the whole family can enjoy, while making mom the focus. So what’s the best way to accomplish both? 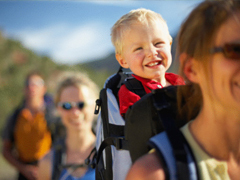 Take the group outside to work on a project that will honor mom – and Mother Nature.